The Conservative Business Journal podcast is hosted by John Di Lemme, founder of the Conservative Business Journal and strategic business coach for over 18 years. John shares real, unbiased news, updates on America and issues affecting the USA, and interviews Americans that are changing the face of America. Plus John highlights ... Más informaciones Conservative Businesses that continue to stand up for their values and America's free enterprise system. Interested in producing record-breaking results in your life and business? Then this podcast is for you! 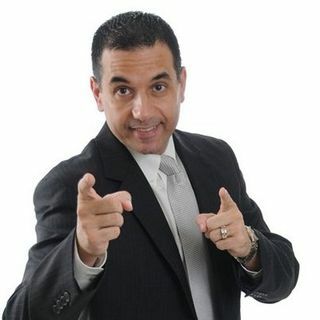 John Di Lemme shares in your face, to the point motivation that will get you out of your Comfort Zone to get you to your next level plus proven, time-tested Marketing strategies that will produce tremendous results in your business ... Más informaciones that you've only dreamed of. No rah-rah nonsense! You also won't find old, rehashed junk here. John unleashes Each Day current, cutting edge wisdom that has produced over 100 Million Dollars with his clients including entrepreneurs, doctors, lawyers, small business owners, blue collar workers, CEOs, network marketers, and various other occupations that are thriving in a so-called bad economy. Are you the next record-breaker? Start listening to the Motivation Plus Marketing podcast today and radically change your life forever!